Carrying your knife around your neck is not a new phenomenon, nor is it a fad. It’s a concept that’s been around forever. Whilst the practice of wearing a neck knife has garnered traction for situations, sad to say, neck knives have never enjoyed mainstream success. 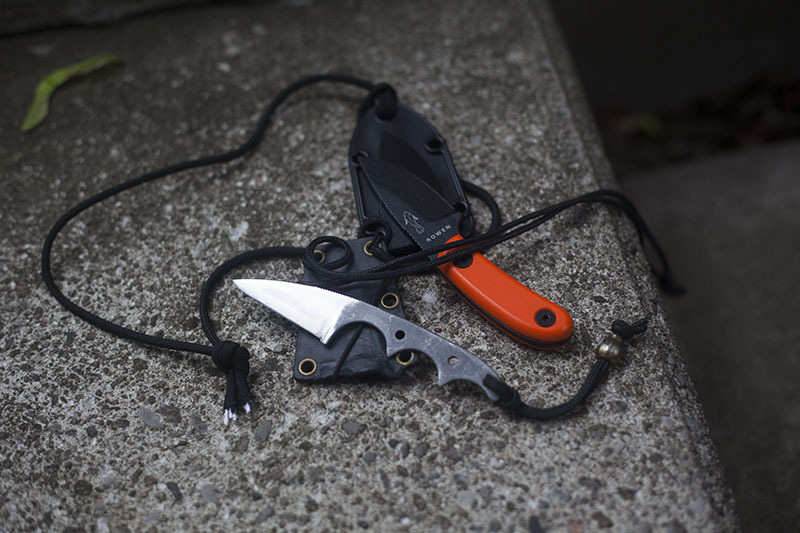 Survivalists like Cody Lundin famously wore their knives around their necks (Cody’s knife that he wore throughout Dual Survival was an older version of the Mora Classic 1). Besides survivalist applications, the self-defence world has long had a love affair with the idea of a defensive blade on your person 24/7. 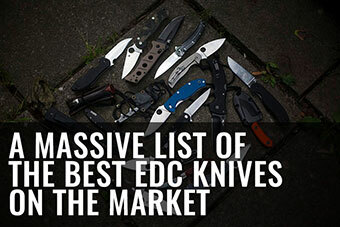 Yet in terms of regular EDC when it comes to neck knives, certainly carrying your knife around your neck has nowhere near the popularity it likely could’ve attained. 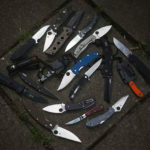 The practicalities can be debated endlessly, but this article isn’t about my options on neck knives (which are positive considering I used to wear a modified CRKT Minimalist almost constantly) – it’s about what the market has to offer those who choose to wear them. 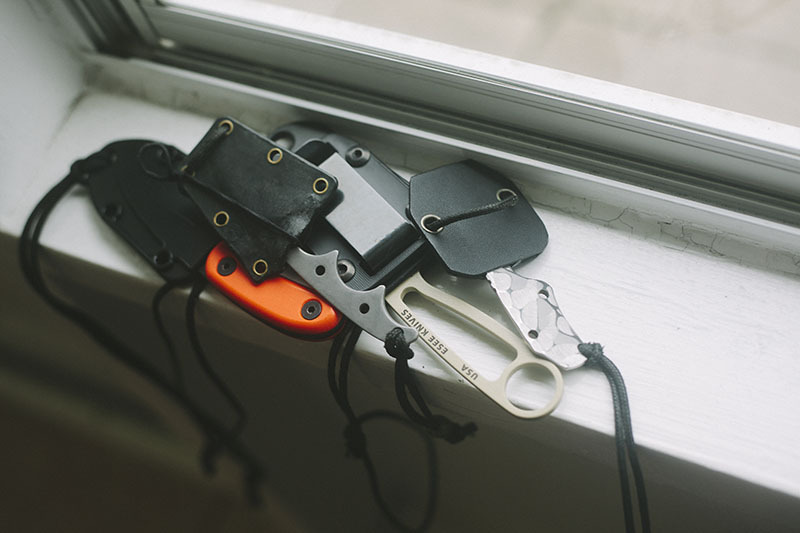 Full disclosure; when I said I used to wear a neck knife almost constantly, I mean that I EDC’d my Folts Minimalist 24/7 (no, really) for a whole year. And yes, I did sleep and shower with it. What I found was that once I got over my fear of the knife slipping out of its sheath as I slept is that I more or less forgot the knife was there except on the few occasions where I had use for it and I didn’t have another knife on hand (a very rare occurrence in my world, but it happened a few times nonetheless). There’s definitely something comforting about having a blade on you always, although I did find that practically speaking, unless you were comfortable enough to have a knife dangling in full view (I wasn’t happy to do that – mine stayed beneath my shirt) the knife wasn’t as accessible and convenient to whip out as I previously assumed it would be. A question is often raised about the safety of having a lanyard around your neck, but with the advent of breakaway lanyards, I consider this point moot. If the thought does bother you, however, remember that you don’t have to carry a neck knife around your neck. Looped around a belt, in your pocket, or in a shoulder harness are all perfectly valid options. Always do what makes your comfortable when it comes to EDC’ing knives. If you personally don’t trust it, don’t do it. Another thing that I never got my head around is the whole unsheathe and then smoothly re-sheath your knife. 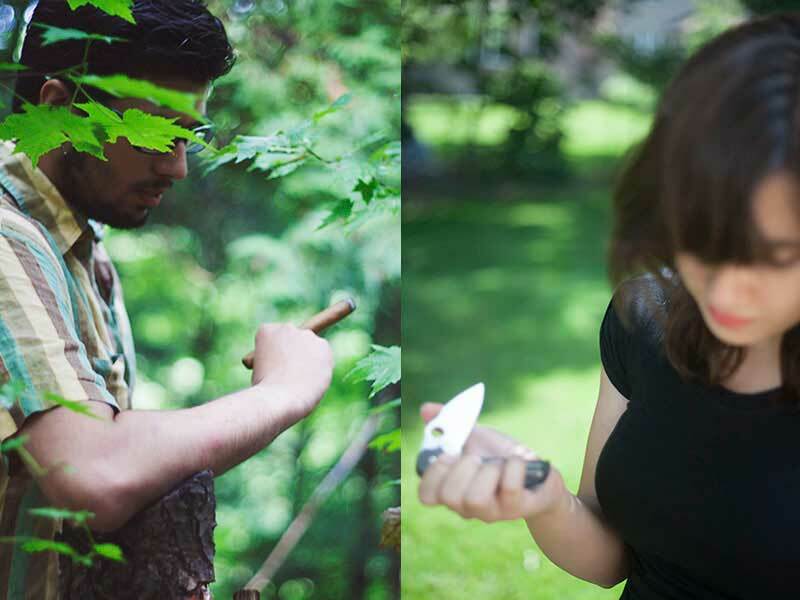 I always struggled with that and found myself fiddling with the sheath using both hands. This is a consequence of favouring sheaths with strong retention. But enough thoughts on neck knives for now. I’ll save the rest for another article. On with the show! 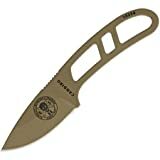 ARK stands for “Always Ready Knife.” This blade came about as a self defence option for deployed soldiers, particularly in the case of sexual assault. 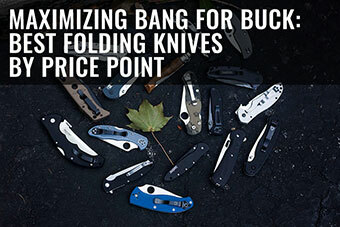 Spyderco has a long history of creating tools to defend the most likely to be aggressed, and I commend them wholeheartedly for this. Look at the Civilian as a good example of a knife company dealing with a problem head on. The ARK is designed to always be with you. With this function in mind, Spyderco designed the ARK using synthetic scales that are super grippy even when wet, and the steel used is H1, a nitrogen based alloy that is rust-proof. Not stainless – it’s literally rust-proof. 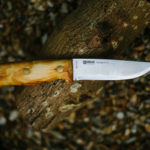 I have yet to handle an H1 knife (it’s on the list, I promise), but based on years of testing by thousands of people, it does what it says on the tin. I think this is possibly the best option for a 24/7 carry blade with superb in-hand retention and no real downsides. If I had to absolutely only have 1 neck knife – this would be it. I absolutely love this knife. The in-hand retention is probably best in class thanks to its unique handle grooves, and I found it so lightweight that you tend to forget it’s even there when you’re wearing it around your neck. The sheath isn’t quite perfect and I did tighten my own using a heat gun, but I did this due mostly to my own paranoia, as I’ve never had the knife magically fall out of the sheath. And yes, as I’ve said, I did sleep & shower with it. I know some of you will point out that the steel is a smidgen on the soft side, and yes, edge retention isn’t ideal, but I would argue that its purpose is as a back up blade, not as a primary cutting tool, so I never found it to be particularly problematic. 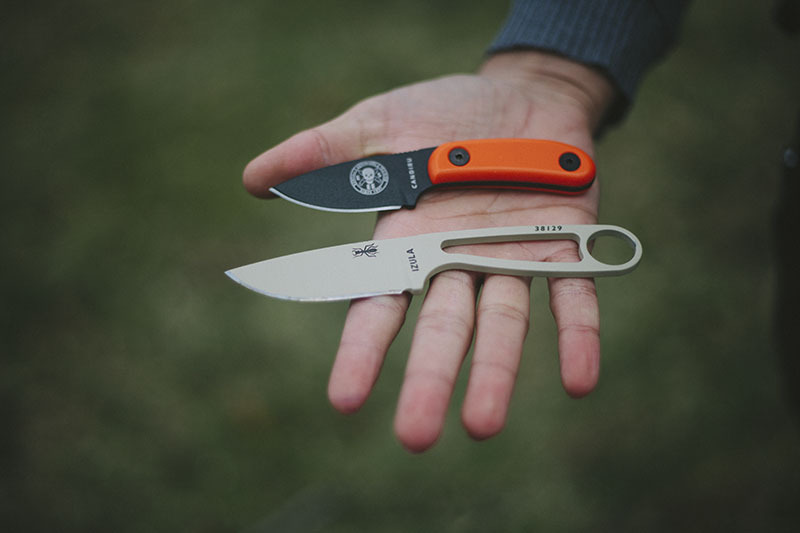 Now I know that the Izula is the gold standard of heavy duty outdoor neck knives, but I fell in love with the Izula’s little brother, the Candiru, instead. The Candiru’s smaller size made far more difference to me than I expected, and its stoutness was comforting when trekking in the woods. Admittedly, as a tool the Candiru was sub-optimal, and yet I will take sub-optimal over not-here-at-all! I’m way more likely to wear the Candiru than the Izula. The steel used is 1095 as is the standard with ESEE. I have mixed feelings about this. On one hand, the coating is top notch, and I personally did not see any evidence of corrosion, but then again I never carried it 24/7 against my skin because I knew the risk was there. 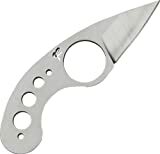 Still, in my mind it’s pound for pound possibly the toughest knife in the world (how would you break it?) with superb heat treatment and solid ergonomics for the sort of things a tiny blade like this would be expected to perform well at. 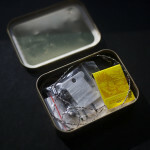 If it wasn’t for the price, I would suggest it as the perfect Altoids tin survival kit knife! It’s hard to talk about self-defence and knives without mentioning Fred Perrin. The La Griffe is a much loved “tactical” option that has been around since before I got into knives. 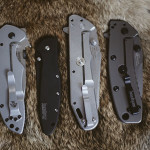 Fred does make a custom version which run in prices outside of my budget, but thankfully you can pick up so called “mid-tech” versions of his knives for a low price. Emerson also makes a licensed version. I have always favoured small knives for self defence purposes. I like the idea of being able to whip out (discreetly) a razor sharp shard of steel and create an exit should the situation warrant it. I am realistic in that I don’t see myself getting into an altercation and waiting until we stand at duelling distance with our bowies out. This is not the reality of our world, and thus I would prefer having a small, sharp needle of a knife if I knew I was going into a situation where violence may crop up. I would like to reiterate that I am talking about self-defence here. In an offensive scenario (in which a knife would not be my first choice), your choice of weapon would change drastically. The downside of most neck knives is the relative size of them being not particularly conducive to good ergonomics. 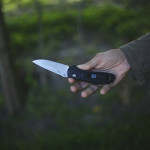 Mora has tackled this problem with the Eldris, and I reckon it’s probably the most versatile “small” knife that’s designed with the option of being carried around your neck. It’s also significantly lighter than anything by Tops or ESEE, which is a boon. 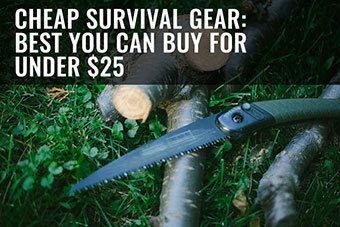 Very inexpensive with a great, secure sheath, and perfectly viable for 90% of bushcraft tasks. If what you want is a last ditch self defense knife that weighs nothing, has no issues with corrosion, and is basically undetectable – this is it. Its “cutting” ability is questionable, but if the chips are down I think most of us would be happy to have this on hand. I have seen some people attach the sheath to the holster of their primary firearm and this reflects (in my opinion) its mainstream purpose. This is a backup blade for hard times and nothing else. 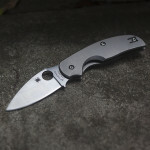 Something else I have seen is the Spyderco Delica 4 Emerson being carried around necks with custom sheaths. 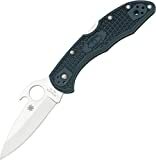 I point blank refuse to try it out due to the quite normal fear of cutting myself (to be fair, the amount of times I’ve done it – I basically owe my life to super glue at this point), but in essence you take an Emerson wave Delica 4 and carry it in a sheath, as you pull out the knife, it deploys. I do not like the idea of such a mechanism (safety-wise), but it’s been mentioned to me in the past, so I figured I would mention it here. It’s an interesting option regardless. Super cheap with a pistol grip design that’s very obviously not utilitarian in nature. As a hide-away blade, I think the KA-BAR TDI LDK is a solid option, especially taking into account the price. 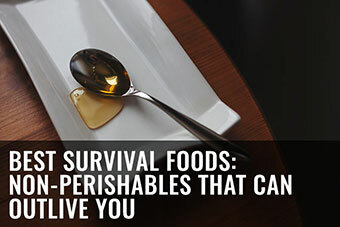 Think in your car or kitchen drawer as potential places to keep them. I once had a guy attempt to break into my home at 4 PM one afternoon I happened to be home – people can be extremely reckless and options could make all the difference. Something to think about. I have to mention it, as Cody Lundin has made carrying this fantastic knife around your neck extremely popular in some survivalist circles. I am not sold on the idea of using a Mora Classic as my neck knife, but admittedly, it is a super lightweight knife relative to cutting power, and he makes it work. 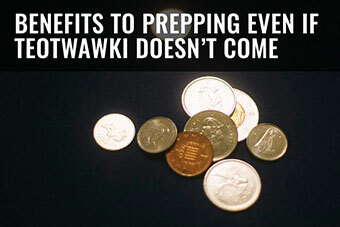 Who am I to argue with Cody Lundin? 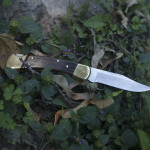 And of course, I would be remiss to not mention the ESEE Izula. It’s unbelievably popular for good reason, but for me, I will always prefer the ESEE Candiru to it. With that said, great size, great grind, great steel, all from a great company. Just a smidgen too big for me (the Candiru is a touch smaller, which is why I prefer it). 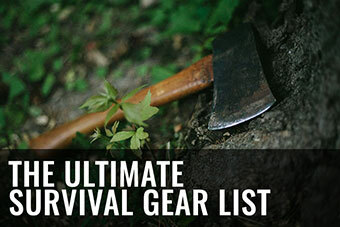 What Do You Think Are the Best Neck Knives? Have any neck knives yourself? 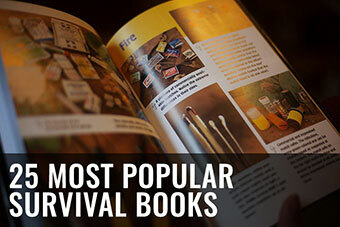 Are the ones you have on this list or do you have something I didn’t mention? What are your thoughts on the neck knives you do own? Have you ever tried to EDC a neck knife? How did you like it? Did you leave it on all the time or take it off at specific times of day? Did you carry it above or beneath your shirt? Let me know by leaving a comment in the comments section down below! 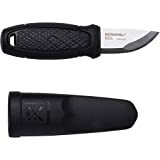 Any experience with the cold steel mini tac tanto? i’m afraid not. Based on reputation though, i reckon its a solid little tyke with decent cutting performance. I have the Cold Steel Mini Tac beaver tail that I’ve carried as a neck knife and as a pocket knife. I really like it and I suspect I would like the tomato just as well. It fits the criteria very well. Light weight and very secure in sheath. I carry a Woo Metal Works, Pocket Knife on a paracord line. It has good retension in the sheath and is lightweight enough to add a few neccesities: fire starter, stone, compass, and some baubbles…. Great knife. Never heard of it until now, thanks for recommending it Dave- looks like a pretty badass custom knife maker! I really enjoy your reviews, and I’m a recent convert to a neck knife for EDC. For my trial run, I got a Chinese-manufactured Rough Rider with synthetic turquoise scales. The blade is 440A stainless so 24/7 wear has been no issue. I don’t sleep or shower with it. In certain social situations I wear it inside my shirt, but usually wear it exposed. The breakaway lanyard is perfect around equipment on job sites, and the decorative scales fool most people into thinking I’m just wearing an unusual necklace. The blade can be sharpened to a very nice edge, although it requires regular touch ups to maintain that level of sharpness. Last but not least, at $8 the price was too low for me NOT to try neck EDC. 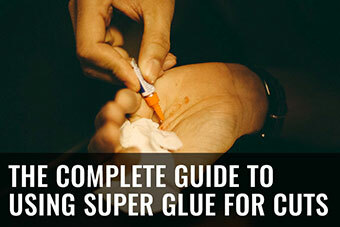 I’ve tried to convince several of my buddies that they should give this method a try. After your reviews, I now have the Eldris and the ARK on my radar. Interestingly, I also got a rough rider neck knife! Looks like a decent lil’ tyke although I haven’t tested it out thoroughly yet. The ARK looks like an awesome option in my opinion. Glad you like the site, I appreciate it! I’m curious what you think of the RR. I don’t think I’d stake my life on it but it gets me through an average day just fine. Honestly its pretty well made and thus so far keeps an edge decently with no complaints. 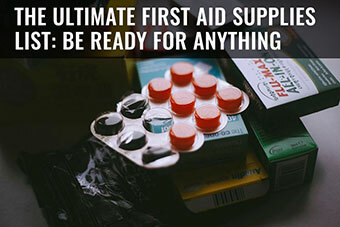 I don’t think its likely to fail under stress but then again its hardly the sort of knife (taking size into account) that you would abuse so I reckon for day to day use- no issues. I’ll update this if my opinion ever changes! 1095 steel carbon blade around your neck 24/7? I considered doing that once but the idea of corrosion put me off. Have you experienced any issues with rust? Having worked for a while in a knife shop, and recommending neck knives to cops, military, survivalists and just about everyone in between, I love the Izula and Candiru. I switch back and forth but carry one or the other every day. I have recommended these knives more, and received exceptional feedback, than any other neck knife available. Good to hear Steve, do you prefer one over the other for specific tasks? Some great choices. I own and carry a Spyderco ARK, and it is totally rust-proof. The blade grind and shape make it a fairly practical utility knife, though it was designed by John Shirley for last-ditch defense. 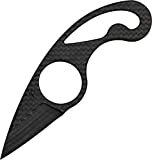 Arg, im so jealous Bob- I have been meaning to snap up a Spyderco ARK- what a cool little tyke and it will be my first Salt series/H1 blade too. 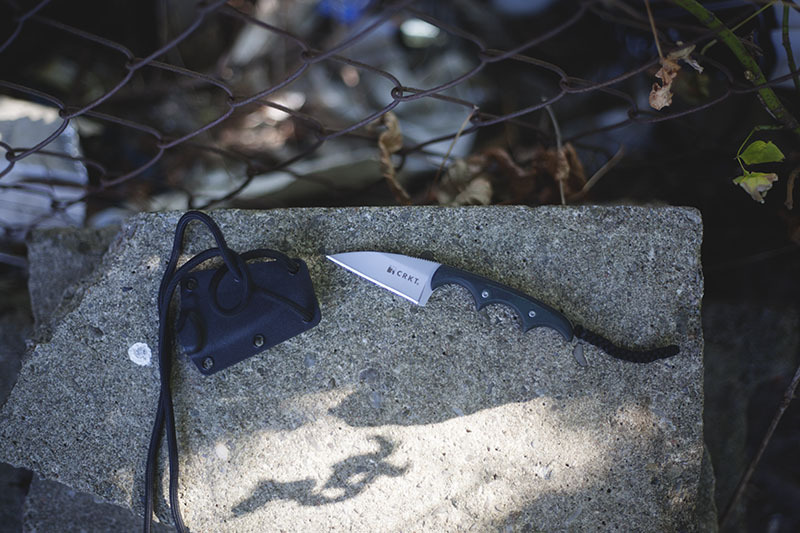 Thanks for sharing mate, never seen that CRKT ringer before, looks cool (in a quirky sorta way). Another ‘Ringer’ fan here, they came in several blade shapes. The only disadvantage is they are rather difficult to sheath while still on your neck, as Mr. Xavier points out. Very easy to cut yourself, much easier if used with a mirror or other shiny surface. But talk about minimal bulk, makes the Minimalist look bulky in comparison. I like the Cold Steel Trout – Bird and CRKT Obake too. 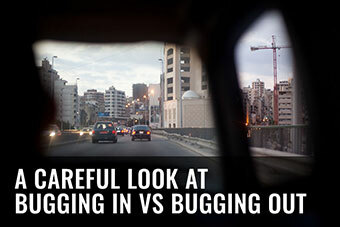 Is the ringer secure “in-sheath” around your neck? What I mean is, could you sleep with it on and never worry about cutting yourself? The Cold Steel Bird & Trout is pretty awesome- its a very unrated knife in my opinion. Very inexpensive with great cutting power relative to its weight. I carry an Emerson La Griffe , weighs nothing , cus like a laser , good hamd retention . The sheath is very rettentive . 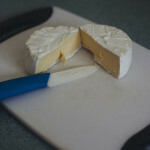 The La Griffe is an awesome knife, Fred Perrin + Ernie Emerson- bound to be special!